New channel That's Lancashire is preparing to hit the airwaves, bringing a local TV service to viewers in and around Preston and Blackpool from late summer. That's Lancashire has been officially granted its Ofcom licence this week, which comes into effect on 24th August 2015, allowing the station to launch its new service for Freeview and YouView viewers, where it will appear on channel 8 from the Winter Hill transmitter. 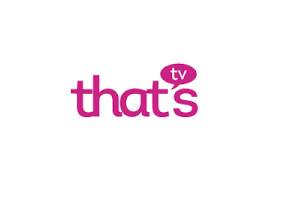 That's TV took over the running of YourTV, the company that was announced as the licence winner by Ofcom in March 2013. That's TV already operate local TV services in Southampton & Portsmouth, Oxford and Manchester, another location where That's TV took over the running of local TV. That's Manchester 'soft-launched' in May. With the impending launch of a local TV service for Blackpool and Preston, the roll-out of local TV following Ofcom's first phase of local TV licence advertisements in 2012/13 is almost complete. The roll-out started in November 2013 with the launch of Estuary TV out of Grimsby. Local TV is currently available in Belfast, Birmingham, Brighton, Bristol, Cardiff, Edinburgh, Glasgow, Grimsby, Leeds, Liverpool, London, Manchester, Newcastle upon Tyne, Norwich, Nottingham, Oxford, Sheffield, Southampton/Portsmouth. Local TV is also due to arrive next month in Cambridge, when Cambridge TV will become the first station in the second phase of local TV roll-out, which will ultimately see local TV arriving in locations including Ayr, Dundee, Middlesborough, Scarborough, Swansea and York. The all look like students who have no idea what the are doing. All you get is that Ginger beard man and that young blind woman and that Australian young women.